Microsoft SharePoint is a massive, multifaceted solution designed to help businesses work and communicate better. You’ve probably heard of it. In 2011, at the peak of its fame (shortly following the 2010 update), SharePoint was allegedly used by 78 percent of Fortune 500 companies, some of which include the Associated Press, Toyota, UPS, and Monsanto. But as cloud innovation swept through business IT, dozens of other players entered the market, many of them offering sleeker, more cost-effective alternatives. These alternatives have been pretty successful in tapping a share of the market, especially since they address and neutralize age-old SharePoint pain points (say that ten times fast). Some vendors even directly market themselves as SharePoint alternatives. To better understand how these vendors are subverting the SharePoint client base, we first need to understand what SharePoint is: what it offers, who it’s for, and where it fails to delight. Seldom is a major software platform downright “bad.” In most cases, it’s simply a matter of incompatibility. E.g. a business purchases SharePoint, attracted to some of its marketing promises and one or two core modules, but fails to realize how broad and complex the product is — too broad for their needs. Six months into their contract, they’re drowning in IT maintenance costs and lack the resources to properly use their new system. Too expensive: When you factor in upfront price, plus maintenance costs, provisioning, and upgrades, the server-based version of SharePoint can cost a business thousands of dollars for a single license. Companies that successfully use SharePoint often hire a dedicated SharePoint specialist to configure, maintain, and update the system, which is quite unrealistic for the average small or medium-sized business. Too high-maintenance: Because of its complexity, especially in the server-based version, SharePoint requires a lot of time and IT resources to maintain. According to a survey of mid-market IT executives by Osterman Research, 43 percent of businesses find the initial rollout difficult or very difficult, and 46 percent say the same of managing content updates. You may also be interested in alternatives if you’re looking for a cloud storage service, but don’t need the robust features of an intranet platform and don’t want to pay the high(er) price tag. If that’s the case, there are plenty of cloud storage solutions on the market, many which offer enterprise-level encryption and access control for business accounts. In this article, we’ll focus primarily on alternatives that offer similar feature sets to SharePoint, meaning employee collaboration and content management suites. With that in mind, here are six solutions to put on your shortlist, whether you’re moving from SharePoint or buying a platform for the first time. If you’re familiar with Google’s suite of productivity apps, Google for Work essentially takes these apps and optimizes them for business use under your company domain. The core package includes Gmail, Hangouts, Calendar, Drive, Docs, Sheets, Slides, Groups, Sites, and Vault. 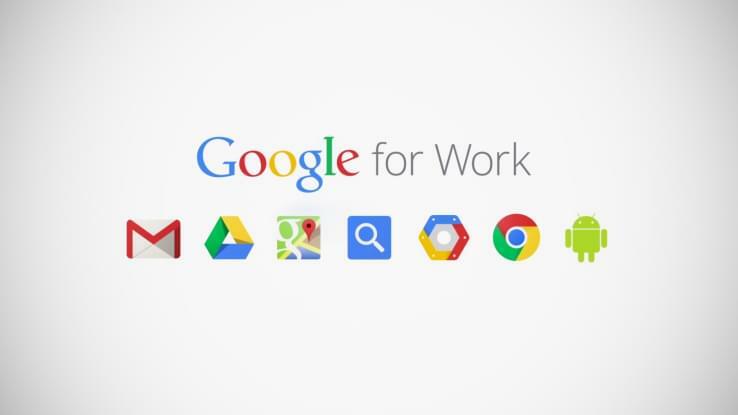 More than 5 million businesses use Google for Work to stay productive and collaborate across the enterprise. The Google ecosystem offers a diverse, affordable alternative to other commercial platforms like SharePoint. Google provides tools for email, file sharing, real time document management, and communication, all which can be accessed from any location and any device. Its administrative controls let you easily manage users, file security, data archival, and a range of other functions. Huddle is one of the leading solutions for team collaboration and project management, and the self-described “#1 SharePoint alternative.” Their platform is geared toward large enterprises and government agencies, as evidenced by some of their recent customers: NASA, EPSON, and the U.S. Department of Defense. 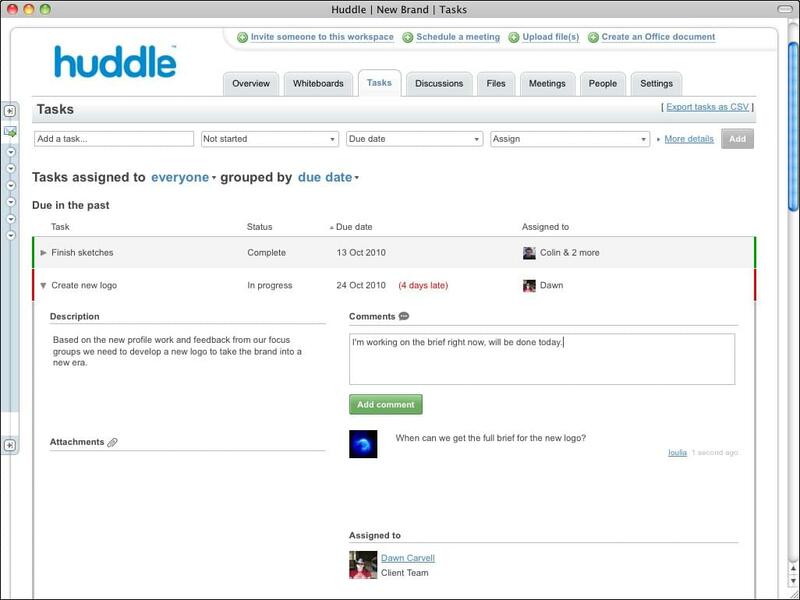 Huddle helps businesses share files, collaborate on projects, and organize their workflows. Users can edit files from directly within the application and enjoy complete version control, similar to what you’d find in a Google Doc. Huddle works through mobile and desktop apps and offers native integrations for Salesforce, Zimbra, Centrify, and (ironically) Microsoft Sharepoint. As far as per-user cost, Huddle is actually more expensive than SharePoint Online and Office 365 for Business. But then, it was never intended for the small budget company. To the consumer, Box is a basic cloud storage service. But to businesses, it’s a powerful collaboration platform. 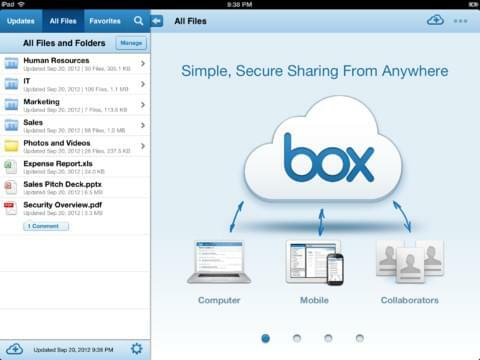 Beyond basic file sharing, Box offers enterprise security, mobile synchronization, version control, project management tools, and more. Through the IT console, administrators can set up retention policies (for example, to retain specific files types for HIPAA compliance) custom access controls, and security measures. A quick single sign-on gives users access to all modules of Box without compromising data security. Since it doesn’t provide native document editing, Box integrates with Office 365 (and various third-party apps). 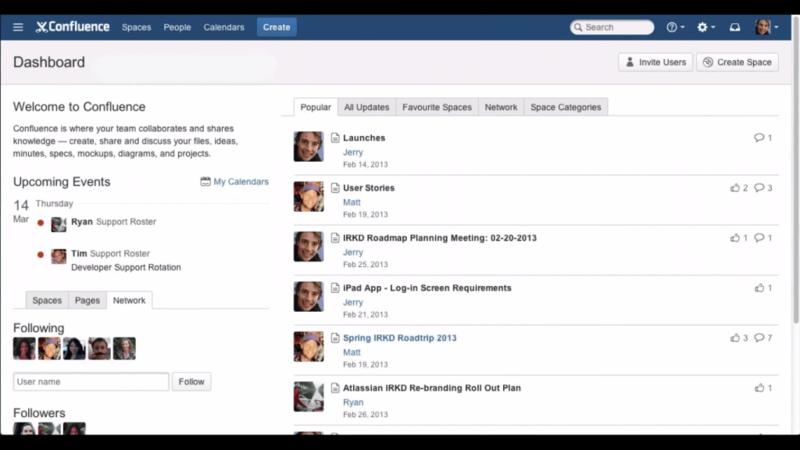 The software lets you create unique spaces for each of your teams to store their work and collaborate in real time. Each space contains multiple “pages,” which use templates to capture meeting notes, project requirements and designs, and other assets. Through comments and @mentions, users can stay informed about changes to content and respond quickly to pressing issues. For greater elasticity, Confluence integrates with over 600 add-ons through the Atlassian Marketplace. The system has a heavy project management bent, and if your teams aren’t used to agile methodology (requirements, sprints, stories, releases, retrospectives, etc. ), Confluence may not be the best fit. Intranet Connections (IC) offers simple intranet platforms to help companies automate business processes, collaborate on work tasks, and keep employees engaged. The system is designed for easy implementation, but also to scale as businesses grow by offering a wealth of out-of-the-box features. 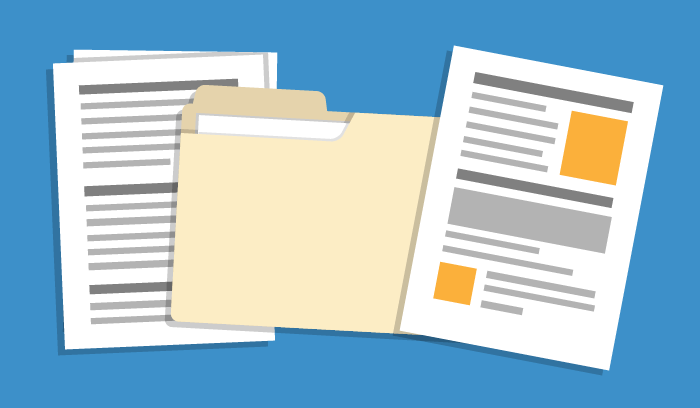 You’ll get the standard fare: document management, team sites, calendars, enterprise search, and so on. But Intranet Connections also has some capabilities you might not expect — such as its e-learning module, which lets HR managers create onboarding workflows and online training courses, or its social-style employee directory. Unfortunately, this vendor doesn’t offer on-demand pricing, which makes sense, given the infrastructure of an intranet platform, but could be a big drawback for small-budget companies. 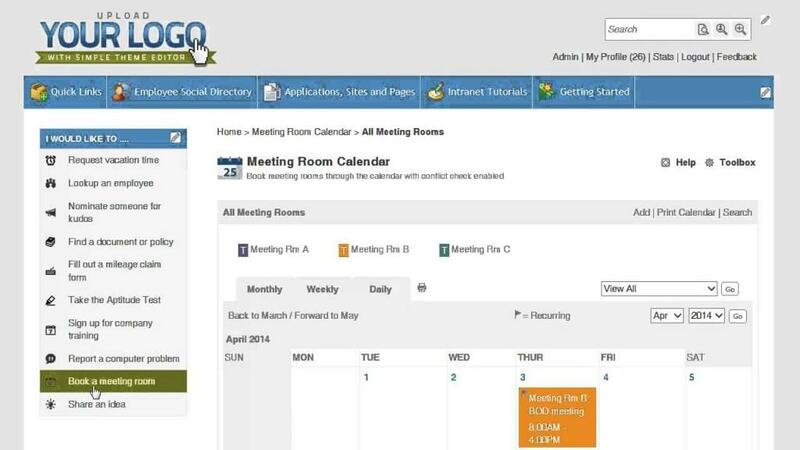 Similar to Intranet Connections, Igloo provides an intranet platform for businesses of various sizes and industries. They’re currently responsible for over 10,000 collaboration sites, including those of IDC (International Data Corporation), Deloitte, and NetApp. 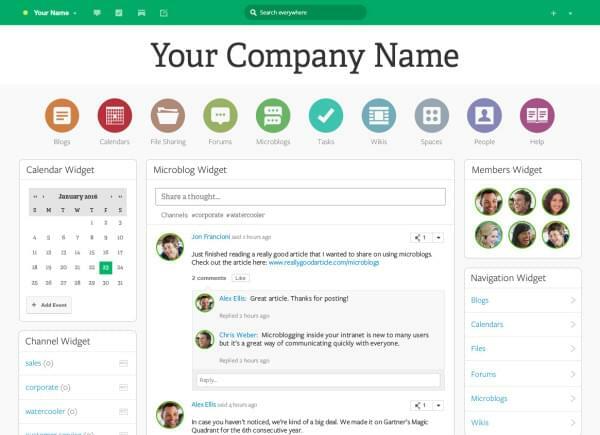 Their core product offering is built around blogs, calendars, file sharing, forums, task management, and wikis. It’s also positioned as a lower-cost, easier-to-use alternative to SharePoint, complete with a “SharePoint alternative evaluation kit.” They offer all-inclusive subscription pricing, per user, per month, which makes it an attractive option for smaller businesses looking to grow into an intranet. One significant drawback is Igloo’s lack of in-app document editing. It can track version uploads and let users preview documents, but you’ll need to have separate program (i.e. 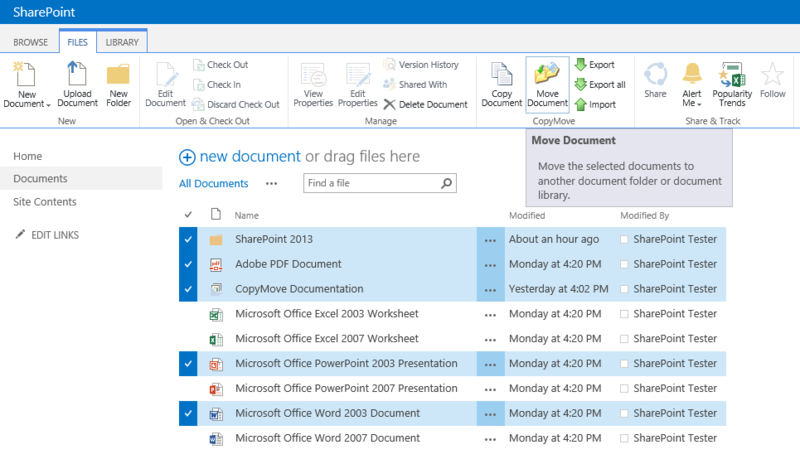 Microsoft Office) to actually create and edit your documents. Although these six represent some of the stronger players on the market, this is by no means a comprehensive list. There are dozens of team collaboration and file sharing solutions to consider, and even more if you include project and workflow management apps like LeanKit or Planbox. Just remember, picking the right solution isn’t about “bad” or “good.” It’s about finding the right fit — for your needs, for your budget, and for your workflow. Glad you found the post useful, Elvis. Thanks for the recommendation! Market is definitley very saturated right now with an abundance of this kind of software, very easy to get lost and confused about which one would be best for you. Looked at loads of reviews now and each one still comes with a new tool to check out. Dooster.net is one i’ve come across and quite enjoy, If youre doing an updated review or something along those lines i’d love to see your opinion on it as well. Thank you for your post, it’s great that someone has taken the time to summarise each one. I’ll be honest state upfront that I work for a cloud intranet provider called MyHub. However, I do have a lot of experience in understanding what the market has to offer at the moment. There is a lot of this kind of software out there which can be confusing to a lot of customers. Some of the solutions on offer tend to fall into the same trap as Sharepoint offering too many features and in some cases have quite a complex management interface that turns a lot of business folk off. More and more we are seeing the subject of shadow IT popping up with the actual businesses users (not IT staff) who are looking to solve business communications, knowledge and content management problems. 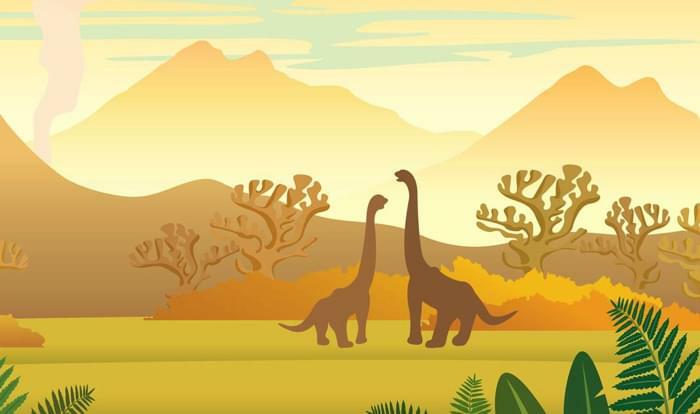 If you get time check out https://www.myhubintranet.com it’s a great solution that meets the needs of this area of the market. Thanks for the comment, Mike! I’ll take a look at it. Hi really useful post. I am a freelance SharePoint / Office 365 Consultant and but recognise that SharePoint isn’t for every team who need to collaborate in secure manner. One example, I came across recently was when a central team based in the UK wanted to manage Official security level content with a wide range of people located regionally using different browsers and Microsoft Office versions. All content needed to be managed and hosted in the UK. Now Microsoft is rolling out a UK data center and partners like HP have a similar offer. However I wondered if there are SharePoint alternatives which offer a UK only based online service. The answer is yes…more details below. Your scenario sounds in the realm of DITA…I’ve seen a new technology by Oxcyon where documents are created as snippets and while having full version control for editing…across multiple sites…people can manage the document so someone signing in from California vs. Ohio would get a different legal disclaimer for example. The cool thing about the system is that the documents are not managed as different office versions….THEY ARE MANAGED in the CMS and when someone wants a copy of the document…they click the word document to get the most recent updated doc. That could remove the whole Office version fiasco of people not being able to open old vs. new and all that insanity. Bring it into a system, centralize it, and clean it up so everyone can get it in the end. I believe it also supports export on command to pdf / word / excel / access / etc. using this technology. I think it is the data cleaner of the future. Also, the system can be hosted internally and you would get bi-weekly code / module updates. In that sense you could be behind a firewall and still update the system with a few clicks every week (or automate it). I haven’t used any of the tools here, but I did use Centralpoint CMS by Oxcyon. The database is centralized, and posting a news article ships it to social media through an rss feed / fills in the rss scheduled email / and pastes it through the site based on whoever role is entering the site. We own the source code and make our own modules in the system for future use. Since there’s no 3rd parties, we always have the same design view when we add new modules which speeds internal familiarity vs. a brand new layout for each new system attached. Just wanted to add it to the mix. I work for a fortune telecommunications company we had a combo of Sharepoint 2010 and Documentum, we also adopted Centralpoint by Oxcyon about two years ago, it’s been working far better than expected, almost every department in the organization uses it now to manage their home screen, corporate centrally manages all the information and sends it down to each department. We are in the process of migrating all documents to their new DITA suite of modules, everyone is looking forward to it. The search is Centralpoint is 10x better than in Sharepoint it actually allows you to find what you are looking for. Do any of these solutions provide migration tooling to move data and content from SharePoint to their solution? Are there third-party solutions that provide migration tools to these solutions? It could be argued that most of what Sharepoint does is and can gradually being replaced with niche, focused solutions: Quip + Slack + Calendly + Discourse, etc. Part of the problem is we now have even more cloud-based apps that contain siloed data. A lot of Sharepoint deploys just use it for “managing” documents. Badly at that. IMHO, the real replacements for Sharepoint should probably be focused around documents and the documentation process flow — approvals, sharing, discovering and the like. Any tool you do pick nowadays needs to handle external participants — something that most tools (especially Sharepoint) might not address fully. At Documize we’ve been trying to solve this problem for the many enterprise that still struggle to compose, discovery and share knowledge. With all these tools, we need to focus on selecting tools that help establish a enterprise-wide knowledge backbone, giving our employees everything they need to achieve faster business outcomes. Interesting take, Harvey. Appreciate your feedback. Hi Aleks. After reading and re-reading this articles over the last 18 months I’m once again at the point where I’m desperately need to choose a direction. Where SharePoint is well placed is in the small (20-100 computer) organisations that have a need to easily handle all of the documents, CMS, Public Facing websites, data gathering and workflow requirements. Many of my clients are finding that the cloud solutions are beginning to be expensive and so a once-off purchase price is more attractive and knowing that the data stays on premise is also important. I’m still looking for a decent alternative after having considering all of the options you’ve put forward and the time is running out for a SharePoint alternative. Microsoft is hell-bent on moving our clients onto their Azure platforms. They are aggressively marketing directly to our traditional client base and so we need to plan for a Post-Microsoft future. This is not a cost issue, it is an issue of needing to protect my future income from a world where my supplier cuts me off from my revenue stream. Slowly I’m seeing the signs of all support and products migrating to a Cloud Only base. This is not something I can support in the long run. Have you done any recent reviews that considers other options? The big problem I have with most of the alternatives is document management as Harvey points out. The thing I like about Sharepoint is Document Libraries. The ability to create alternative views and add metadata to a document. I’d love to find something else that does that without the overhead of Sharepoint.